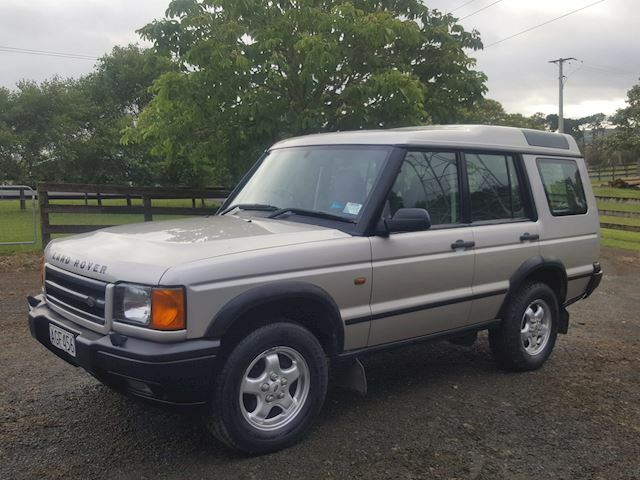 Key details Number plate AGF456 Kilometres 174,000km Body Silver, 5 door, RV/SUV Seats 5 Fuel type Petrol Engine 8 cylinder, 3950cc Transmission Automatic 4WD Yes History 5 owners, NZ New Registration expires Feb 2019 WoF expires Aug 2019 Stereo description Land Rover Factory Stacker Model detail S V8i Much loved towing vehicle, that I have owned for the past 6 years. Tidy condition Land Rover Discovery Series 2. NZ New. 'Hank the Tank' has been a very well cared for car, used to tow my horse float to and from shows. As you can see, he is in good knick for his age, has always been serviced when due, and is wof'ed and rego'ed. As to be expected with a more senior car, Hank has a few 'love' marks: a cosmetic crack on the back left bumper and a rip on the side of the drivers seat which can easily be patched up. Hank is an excellent car to drive, safe and reliable, and has low k's for his age. I've never had any issues mechanically with this car since owning, and is a 'hop in and go' type. Located in Riverhead, come and give him a spin!